Does your car or truck seem much louder than it use to? Are you seeing something hanging from under your vehicle? It may be time for a new muffler. When searching for the best place for brake and muffler repair in Westland, the clear choice is Mr. Muffler! 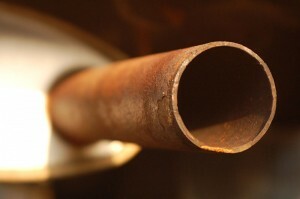 Muffler repair can help your car or truck run smoother and quieter. With a damaged muffler your vehicle can make extreme noises and may result in a ticket, having a properly mounted and functioning muffler limits the noise that comes form your engine. Mr. Muffler has decades of experience in muffler repair, and will put their expertise to work for you. Of course Mr. Muffler excels in mufflers, but did you know that in the Westland area, Mr. Muffler is the best place to go for brake repairs as well. If you are hearing squeaking coming from your wheels or just trouble stopping, do not delay, bring your vehicle into Mr. Muffler for a brake inspection today. When it comes to brake and muffler repair in Westland, the best option is Mr. Muffler.Contact Us today if you are in need of auto service!If you are in Westland, Garden City or surrounding areas, just stop on by and we will take a look at your vehicle and have you up in running in no time!